The first step is stirring baking powder, flour and salt together in a mixing bowl. This should be followed by creaming the butter with a hand mixer in another bowl for two to three minutes. Sugar is added gradually and beaten each time. The third step is adding an egg yolk to the mixture and mixing it well. Dry ingredients are then added alternately to the butter bowl with milk and mixed. Vanilla is then added to the mixture and stirred to blend. The dough should then be chilled in a plastic sheet or cling wrap in a refrigerator for one hour. The oven is preheated to about 250 degrees Fahrenheit. The next step is rolling out the dough onto a surface that is lightly floured to a thickness of approximately a quarter of an inch. 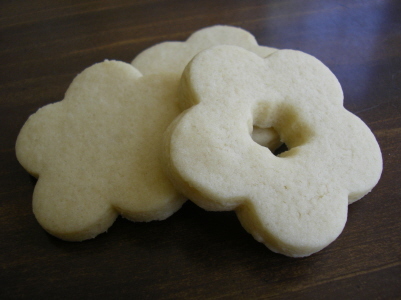 The next step is to cut the dough using cookie cutters. There are so many types of cookie cutters. Star cookie cutters are a good example. This is followed by sprinkling some sugar (colored) on the cookies prior to putting them in the oven. Baking is then done for eight to ten minutes. A cookie that is ready has brown sides. This should be checked prior to removing them from the oven. Finally, the cookies are let to cool down for approximately fifteen minutes and then served.